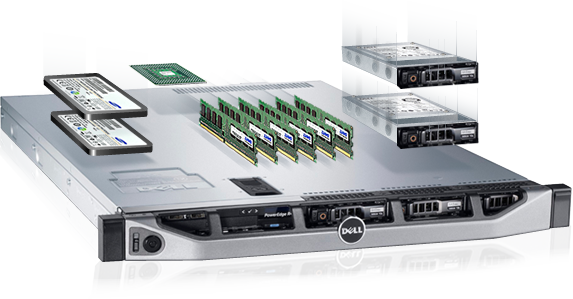 The service of dedicated server rent allows using Dell servers of the last generation without making large initial investments. The service comprises server rent, server placement in Tier 3 DC, cooling and power supply, Internet connection and remote server management (IP KVM). Along with the server, you can rent Microsoft licenses, order data backup, server monitoring, OS maintenance and vUTM solution. In case of drive, power supply unit or other component failure, it will be replaced by a functioning part in no longer than 1 hour. In case of failure of the parts that cannot be replaced within 1 hour, you will be temporarily provided with IaaS resources. Having chosen any dedicated server plan, you can order additional RAM memory or additional hard disks and change other service parameters.